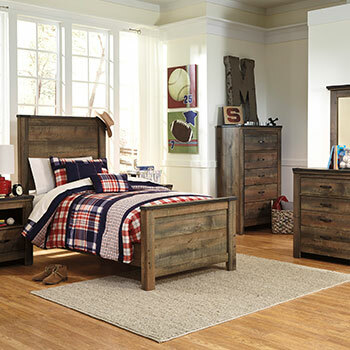 The big challenge you face in outfitting your child’s bedroom is finding pieces with literally room to grow on, to accommodate your rapidly developing boy’s or girl’s needs and interests, along with picking a style that fits your home’s look and your budget as well as pleasing your child as an expression of his or her personality. 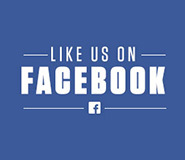 That’s where South Carolina’s premier discount furniture seller can help! Council’s Mattress & Furniture has been serving growing families like yours for decades, so we understand the process can seem daunting. Not here: between our fantastic selection of kids’-room beds and matching pieces sold as sets and individually plus accessories, and our warehouse-low prices on all kids’ room items, both you and your child will love your new kids’-room ensemble for a place to sleep, play, and study. 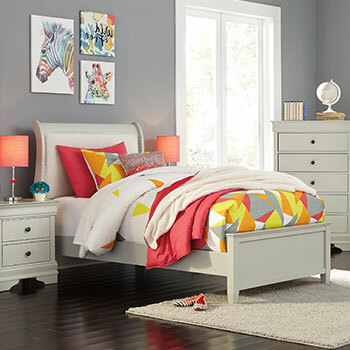 Choose from more than 800 twin and full kids’ beds in frame styles ranging from the rustic to the elegant with whimsical options if you like, such as bunk beds for young roomies. Perhaps you and your son would enjoy a majestic sleigh bed frame while your princess is partial to our metalwork frames or an upholstered headboard (kid-proofed with high-performance fabric). 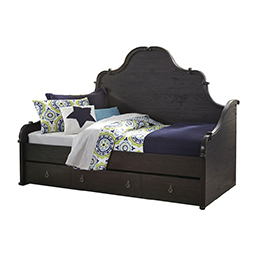 Many of our kids’ beds feature solid hardwood frames that can withstand all that your energetic child can dish out. Storage beds with built-in drawers are a welcome addition, keeping toys and clothes from being trampled underfoot and banishing clutter. While you are here, start your child’s bed off right with a comfortable twin or full mattress such as one of our many memory-foam models. 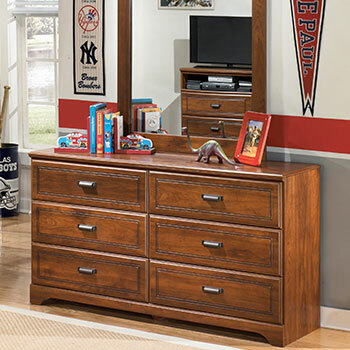 Fine accompanying kids’-room furniture for these beds include nightstands, mirrored dressers, and chests of drawers. 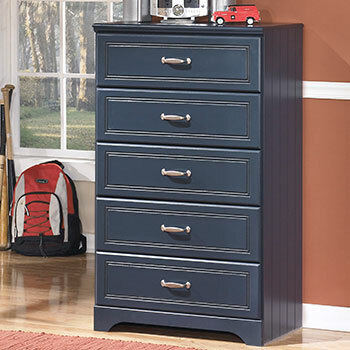 One of the most useful pieces of kids room furniture is a small, sturdy desk for homework including a favorite subject or one your child has a talent for but also creativity from artwork to journaling. 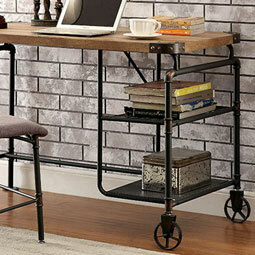 Our durable desks are perfect for parking a laptop and, once you’ve made sure your boy or girl isn’t playing games or on social media, getting to work on those algebra equations or book reports. 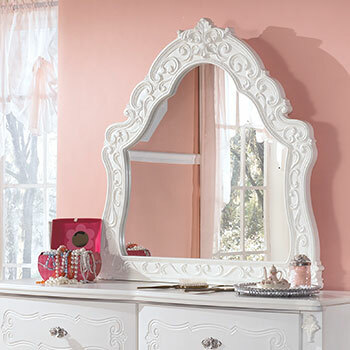 Yes, beautiful kids’ room furniture CAN be yours affordably. Browse the many links on this page, then stop by our showroom at 453 Columbia Avenue in Lexington, SC.